Remember as kids when we used to ride along the streets on our scooters… feeling nostalgic right. How cool that felt and now we have these really amazing electric scooters that make us look even cooler. The electric scooters are not only the best substitute for public transport but are also easy to ride. And if you have a folding electric scooter, then it surely makes your life easier on a whole new level. The only difference between then and now was that back when you were a kid you would just get a scooter that looked good or one that your parents would get for you. But now, for the electric scooters, you have to consider many things from its features and battery timing to its price. And all those options all claiming to be the best ones… AHH.. quite a headache. Also what to do? Well, don’t you worry because at the end of this post you will know exactly which one to buy? So, sit back and relax as we have done all the work and found the best folding electric scooters for adults like you. Now, let’s take a look at feature overview of my Top 3 Folding Electric Scooters. Furthermore our buyer’s guide and comparison table of the best rated folding electric scooter will help you choose the right one for you. Q: Are electric scooters water-proof? Q: Should I leave the electric scooter for charging overnight? Q: Can electric scooters go uphill? Q: Why are foldable electric scooters better? Q: Do all-electric scooters need to get connected to an app? Q: How can I keep track of my speed and battery level? The Glion dolly is definitely a dolly when it comes to not only its looks but also its features. 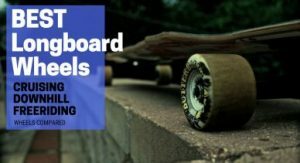 This one producing no sound when you commute on it and its long battery life are what makes it our top recommendation. The Glion Dolly electric scooter will take you around at a top speed of 15 mph which is really good at such a decent price. This 28 lbs. A foldable electric scooter is powered by a 250 W brushless electric hub motor that literally makes no noise. This is what sets this scooter apart, no sound and still making heads turn. What do you need hoverboards for when you can use the Glion Dolly in your home too without having to worry about waking up your mom. 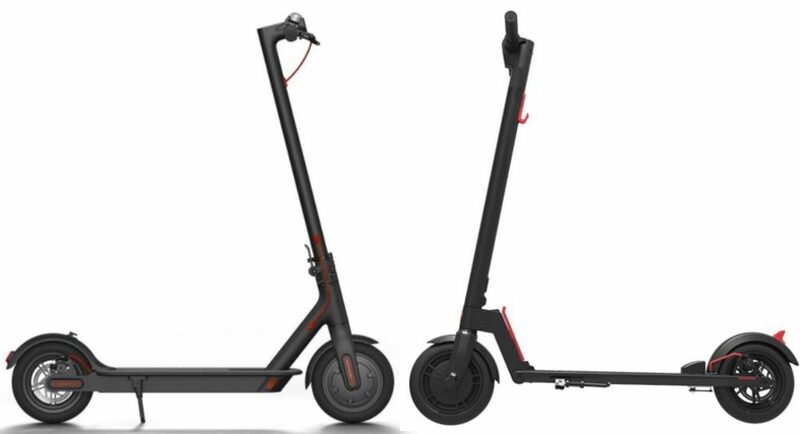 The battery used is a 36 V lithium-ion battery, and with this one, you can ride your scooter for consecutive 15 miles or let’s say 3.5 hours constant with just a single charge. Pretty amazing right! Coming to its looks, the Glion Dolly electric scooter lives up to its name. It has a sleek and smart style which really suits its cool solid black color. The frame is made of aluminum alloy and is very durable. So, even in your adulthood, its looks will surely make you feel like a teenager all over again. The tires are 8-inch honeycomb never-flat tires that glide through all sorts of surfaces, and you can commute easily through pavements and streets. These are very durable just as the name says never-flat. So, take them wherever you want as they are sure to take quite a beating without wearing out. Moreover, the foldable feature will allow you to take it with you anywhere. So, whether you are going to your school, market, library or just to get some snacks, just enjoy your ride on it and fold it afterward. And if you don’t feel like lifting it just pull out the handle extension and roll it like a suitcase. What more could you ask for in such a reasonably priced electric scooter? You might not be happy with the brakes section of this electric scooter because it has only one rear brake. So, it can’t slow down fast enough. While riding it, I only felt the need of some front electric brake or friction brake for emergencies. Nevertheless, time to time brake adjusting does its part so all in all, it’s a great exchange for your money. I personally feel this scooter is a good value for money. There are many great features that overpower its shortcoming. It looks good and has great features, decent price and accelerates quite smoothly unlike the other electric scooters. So, do shortlist this one. We all know Xiaomi for their extraordinary commuting devices, and the M365 is no exception. If you are a style freak or really drool over cool looks, then this is it. The Xiaomi M365 has won not only the prestigious Red Dot ‘Best of the Best’ award but also the IF Design award 2017 for its looks. Let’s first talk about its looks that are simple yet stylish. The aluminum that makes up the frame is aerospace grade, and you’ll feel that it is pretty sturdy. Unlike most of the electric scooters, the batteries are stored at the bottom of the foot stand. This is why it feels better balanced while riding. So, even while going downhill at top speed, the M365 won’t get wobbly. The 8.5-inch air-filled tires provide a cushion when you are going over bumps and cracks. The braking system is pretty good, as it’s a double braking system with disc brakes and eABS regenerative disc brakes. 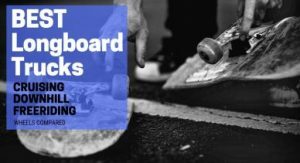 The rear brakes are just like those that you have on a bike, but these are much stronger and can be adjusted accordingly. However, it requires quite much maintenance in the long term such as having to replace the brake pads. Now, speaking of the battery and range, this is where the M365 shines. It has 18 miles range, but practically it gave more than that. We tested it not only on the plain roads but also on the terrains and even at top speed, it went on for much more than 18 miles. The only con I found was that its pull-down mechanism was a bit difficult to pull down. But, honestly, it won’t be a justice referring to it as a con. A little hard work won’t hurt right!!! All in all, if you are into stylish electric bikes, then this is it. And if you have to ride consecutively for like 20 miles without having to worry about the battery, then you won’t find a better electric bike than the M365. The GOTRAX GXL has been quite a hyped up scooter and all for the right reasons. If you want a simple, clean and well-priced electric scooter, then look no further as this is our top choice. It has good acceleration, and the braking system is what sets it apart from all the other scooters on our list. The GOTRAX GXL electric scooter features a 250 W motor with 8.5-inch air filled tires. The tires are great for absorbing shocks while on bumpy tracks. You will be able to go 12.5 miles with a single charge. So, the range that has been advertised is pretty accurate. The top speed is great. It is said to go up to 15.5 mph, but when I personally tested this, it went over 16 mph which was quite impressive for this price. Its braking system makes a big difference. We found that the GXL has the best stopping of all other scooters. It has a front brake and another unique rear brake that uses a rear foot paddle. Moreover, the GXL has a black outlook, a sleek and seamless design which makes it look very cool. The scooter is very portable and can be folded pretty easily. For weight, the scooter weighs 31 pounds which I believe is heavy. So, you might find it difficult to carry around, especially if you need to go up or down some stairs. Moreover, after riding this one, I realized that it would perform like an expensive electric scooter on the plain roads but not on terrains. So, for the downhill riding, you should consider Xiaomi M365 or the Glion Dolly. Regarding the top speed and battery life, it delivers much more than it promises. So, I would definitely recommend it to people who want good range and a top speed in a limited budget and the cherry on top is its braking system. With such a decent price range, this one is definitely best for cruising. Swagger is pretty famous, and we all are familiar with their affordability and uncompromised quality. 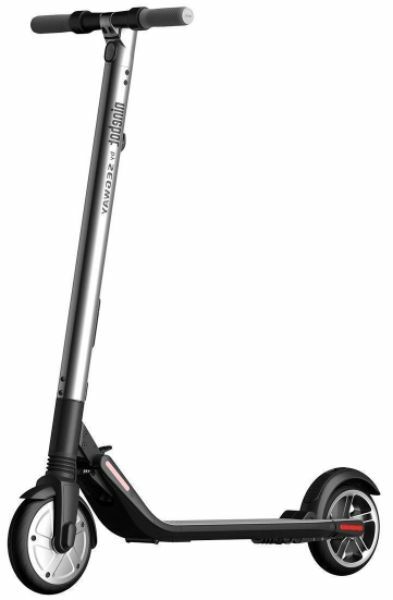 The Swagger Pro foldable electric scooter is all you could ask for in a limited price range. It provides all the features of an expensive electric scooter without breaking your bank. The Swagger Pro is definitely for those of you who wanna experience riding an electric scooter but don’t wanna spend all their savings over it. This is a complete package in a low price range. You’ll get an aluminum alloy frame with air-filled tires that are pro in absorbing all the shocks any rough path throws at you. The battery and top speed are the same as you’ll get in the rather expensive scooters and it delivers a range of 14.2 miles. Honestly, I was pretty amazed at that because some expensive electric scooters will give you even less range than this. The weight carrying capacity is also the same as all the scooters above mentioned. The folding is easy, and it is convenient to carry it around. What amazed me further was the dual braking system with auto guard technology, I definitely did not expect this type of technology at such a low price. And it does not end here; the battery charging is super fast, so you’ll need just three hours to recharge the battery fully. INSANE Right! Well, for me I think it’s a great package. For the cons section, I don’t think one can complain of this price when almost all the features are awesome. But still, I’ll point out a few things just for you to consider. Firstly, the screws and bolts might get loose after your first ride. What you gotta do is as soon as you take it out, tighten all the screws and bolts. After that, you can definitely ride it as your heart desires. Make sure you do both! Secondly, this one might not take you on too many steep hills, but it’s sure to take you on moderate hills. But, as I said earlier, you can’t complain about these things when it delivers more in less price. I’ll definitely recommend it for people who want a high-end electric scooter but have a limited budget. Guys do try this and enjoy your ride. For beginners, who just want to get a taste of electric scooters, you might also opt for this one as it will deliver everything without being heavy on your pocket. Now, SEGWAY has introduced its Ninebot ES 2 that has the best and quickest acceleration that no other scooter matches. So, value for the money is through the roof. Ninebot ES 2 by Segway has a great design and accelerates like no other. Moreover, SEGWAY allows you to connect to the app that allows you to choose custom color under glow lights. These glow lights make it look really cool and also help you in low light. So, it’s sure to turn many heads. For brakes, the ES 2 has both front and rear brakes which work great. It has solid rubber tires which means you never have to worry about the tire pressure or flats. You might feel more bumps due to the rubber tires, but SEGWAY has got you covered so worry not. They have added a front shock and rear suspension to help absorb the rough terrain. So no worries at all! The good thing about this one is that you can buy an additional battery that will increase not only the top speed but also the travel range per charge. But, it’s totally up to your preference as either way it’s a win-win. Personally, I would definitely recommend getting the additional battery because how it increases the top speed and range is INSANE. So, spending a few dollars won’t hurt when the results are extraordinary. The ES 2 has a one-click folding system so it makes things easy and it weighs less than 28 pounds so, you can carry it around wherever you like. Not only this, but ES 2’s acceleration system is no joke. You won’t find a bike accelerate faster than this one. Coming to the cons, I feel that its suspension does not work as I expected for this price. It won’t handle too many bumps effectively. So, if you mostly get onto smooth paths to get to your destination then its perfect for that. Otherwise, you might need some adjustments here and there. The Segway Ninebot ES2 is a great bike for those who would like to spend on cool looks. Other than the shocks system, everything is pretty great. Its acceleration system is exemplary. Moreover, the top speed and range with an additional battery will make it stand out. So, enjoy riding it on a smooth road and glide through the town. The Swagtron lives up to its swag with the Swagtron Swagger 5. This scooter looks identical to the M65 and is also similar to the GXL. It’s a budget scooter that has great features and performance. Its top speed of 18 mph is what gives it an advantage over the other electric scooters. 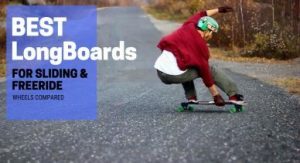 Now, if you are someone, who loves to fly in the air and glide through the streets enjoying the breeze at full speed, then this one is certainly for you. The Swagger 5 has the top speed of 18 mph which is the highest of any other electric scooter in our list. The frame is made of aluminum alloy, and the whole outlook is quite sleek and smart. It’s battery charge time is also less than the other scooters. So, it will fully get charged in just 3.5 hours. Pretty great! In the previous models, Swagtron used air-filled tires with inner tubing, but nobody wants flat tires. Hence, this one has rubber tires so; you don’t have to worry about flat tires or air pressure. Unlike the GXL, its acceleration is good but steady. But, for such a decent price it’s not an issue. It also has a rear brake. The battery provides a range of 12 miles and the motor used is the ideal 250W front hub motor. The good thing about the Swagger 5 is that it has a phone mount which I really like because you can benefit from it a lot. So, it’s a nice add on. The battery life and range is where it falls short. On a long path, you get only 9 to 12 miles before the battery runs out. Moreover, the battery meter might fluctuate and not give you the right battery level. But, Swagtron has decided to make an upgrade that is sure to fix this problem. 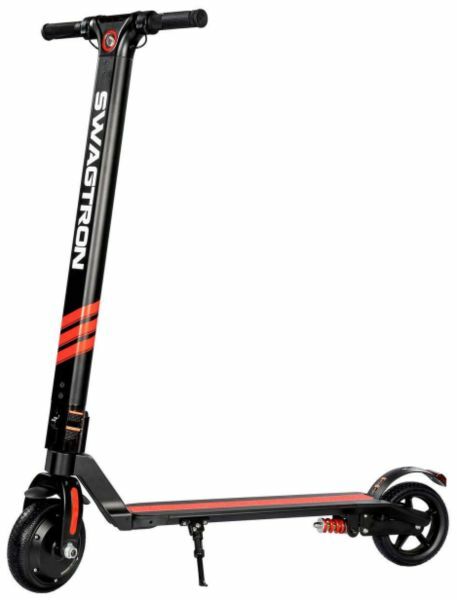 One thing I might say about the Swagtron scooters is that they have branded their entire name on the scooter which I personally don’t like. So, if you don’t like it, then a little spray paint or some tape would cover it up. Nevertheless, if you are okay with it, then there isn’t any need of bothering about it. All in all, I would say that it’s a good value for the reasonable cost because the top speed this one exhibits is not common. So, if you crave for speed then do go for this one as in speed no other electric scooter can beat the Swagtron Swagger 5. But, if you have to commute for a long distance, then this one might not be a good option. Now, I’ll be telling about what things you have to consider while buying a foldable electric scooter in the buying guide below. It will really help you make the right decision. Before, that just keep in mind where you will be riding your electric scooter, how long you’ll be riding, for what purpose you need your scooter for is it just for fun or only for commuting. Once you are clear about these things, the decision will become much easier. So, now let’s move onto how you have to choose your electric scooter. Now, the battery must be a good one for the range to be better. 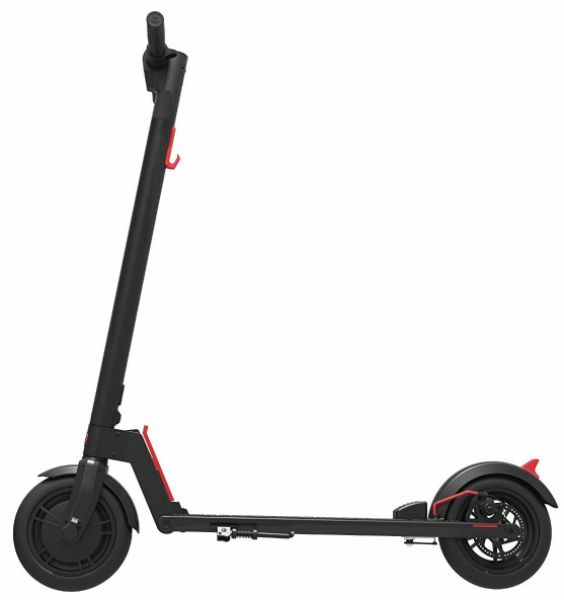 But, all the scooters we have listed have almost the same 36 V Lithium-ion battery, and that is very ideal. So, if you are considering the list above, then you don’t have to worry about the battery. A bike with this kind of battery will be good to go. So, when you don’t have to think much about the battery, do work upon the range. The range your bike will actually deliver is affected by your weight, where you are riding, and how much you are stopping and starting the scooter. While choosing your scooter, if you know that you will be riding more where there is much terrain then opt for a scooter with the highest range like one that is above 15 miles. Xiaomi M365 might be a good choice. But, if you will be riding on a plain road, then a range of 12 to 15 miles will be good to go. 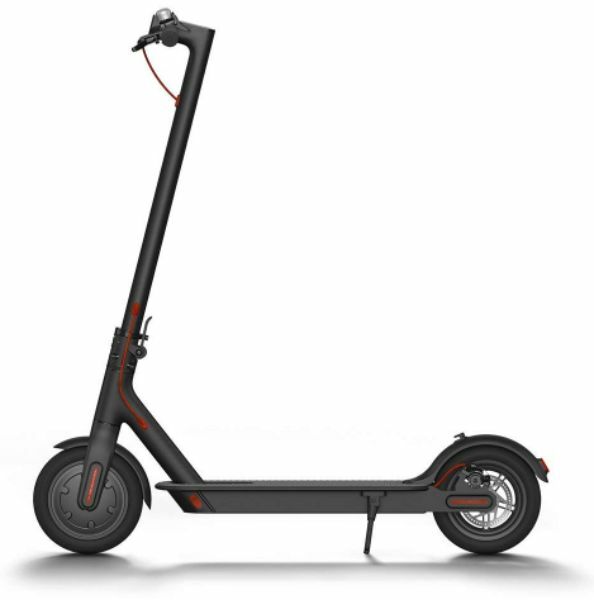 Moreover, if you want an electric scooter just for cruising for fun, then you might not need much range but if you want one for getting to some destination then choose the range wisely. So, it comes down to what is your requirement. This one also comes to what you want. If you are someone who wants to have a relaxed ride, then you might not need much top speed. Whereas, if you like speeding or you know that you will need to commute fast then you can go for GOTRAX GXL as it’s top speed and braking system both are great. You can also choose Ninebot ES2 by Segway because with an additional battery; its top speed is higher than other electric scooters. The greatest top speed in our list is 18 mph that is of the Swagger 5. The braking system should be viewed critically as its very important for your safety. And if you like cruising through the streets at top speed, then it becomes even more crucial. All the scooters I have recommended for you have a great braking system so; you can choose any one of those scooters. But, particularly for hasty riders, a double braking system would be best. As for my personal opinion, I would buy GOTRAX GXL any day as its braking system is the best of all. You’ll find two types of tires; solid rubber tires and the air filled tires. The rubber tires are great when you know that you will be riding on a path that is sure to damage your tires. So, the rubber tires are never-flat tires; hence, you won’t have to worry about flats or air pressure. So, if you like rubber tires, then Glion Dolly is a great option. As for the air tires that are referred to as pneumatic tires too so don’t get confused. 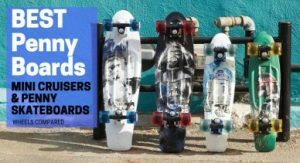 These are great for bumpy rides because they absorb the shocks and you can enjoy a smooth ride. So, at the end of the day, it comes down to where you’ll be riding. Price range completely depends on your budget and why you want to buy an electric scooter. 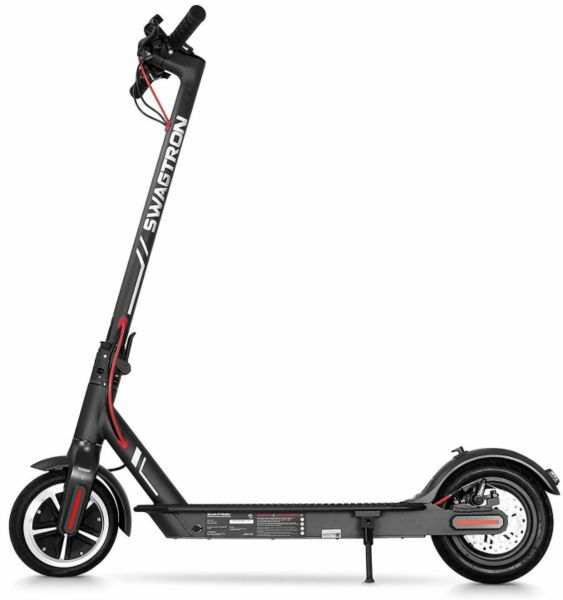 If you want to just try riding on an electric scooter or just wanna have fun then go for one that is not heavy on your pocket, like the Swagger Pro. But, if you want some serious work get done, then you might go for a higher price range as at the end of the day you get what you pay for. A: Well, this comes down to the company of electric scooter you are using. Most of the electric scooters withstand a little rain. But, you might have to be careful in heavy snow or heavy rain. Still, you should check if the brand of your electric scooter features waterproof scooters or not. How long do electric scooters take to charge? On average, an electric scooter might take 4 hours to charge, but it varies from scooter to scooter. Some need only 3 hours to charge whereas others might even require 5 hours to charge. A: Charging overnight might not affect your electric scooter, but still, I would advise you not to leave your electric scooter on charging overnight. Plug it off as soon as the battery is charged. It will not only save electricity but also avoid any potential damage to your scooter. A: Of course, electric scooters can go uphill. But, it all depends on the type of electric scooter you have. If your scooter has enough power and range to go uphill or if the motor is suitable, then you can easily go up terrains. A: The foldable electric scooters are better than those that can’t be folded because these can be carried easily. You can take the foldable electric scooters wherever you want to your office, college or to the grocery store. And they won’t take up much space too so; you can just put them in your car and ride them whenever or wherever you want to. 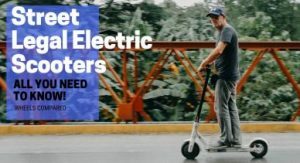 A: No, not all electric scooters will need to get connected to an app. They’ll do fine without the app too. Some scooters might need the app to activate the cruising mood whereas; others have a button that can directly activate the cruise mode. Moreover, most of the electric scooters have all the required controls and buttons on the scooter. So, you can easily change gears or modes just by pressing buttons. 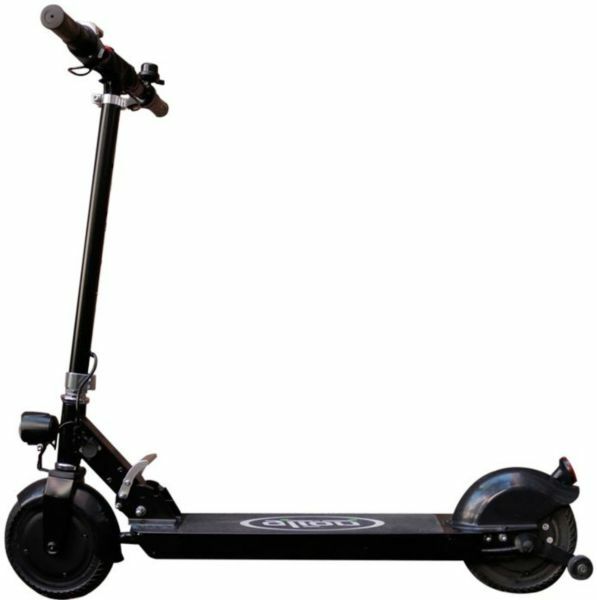 A: Almost every electric scooter has an LED display on the top of its handle that displays the speed, battery level, mode or gear, etc. Whereas, for those scooters that can get connected to an app you can track your speed and battery level on your phone too. All the electric scooters we have recommended are great, but it all comes down to what you want and what you prefer. The buying guide must have cleared up your mind of all the confusions. So, now you just gotta select the most suitable electric scooter for yourself. Hope, we have helped you in making the decision easier. If you have any further queries or any comments to make, feel free to talk about it in the comments section. And, do let us know which you think is the best foldable electric scooter for adults and which one of the scooters in our list, you found suitable for you. Don’t forget to enjoy your ride because at the end of the day it’s all about having fun.